We provide u-pick buckets to pick in and ask that you use them in the field. Feel free to bring your own containers to transport your berries home in. We love pets, but unfortunately we do not allow them in the field. Please leave them home if you’re planning on picking. Kids are welcome to u-pick. Some of our varieties can be a bit of a walk to get to, so please come prepared. We welcome strollers and wagons. Blueberry Syrup, Jam, and Dog Treats! 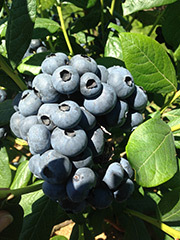 Our farm is not just you-pick, we have already picked blueberries available at our farm stand. We also market at many farmers markets in the state, co-pack berries into berry spreads and syrups, and we even make dog treats with blueberries! We are excited to open our on-line market and will be able to ship these goods all over the US, as our customer base continues to expand. Below you can shop, order, and have goods shipped in the off season when we are not at market. Of course all goods can be purchased at the farm stand too any time of year, providing we are working the land and available to sell – call to inquire! Our story is one which stems from humble beginnings. 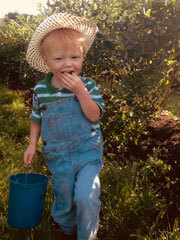 Our U-pick operation and berry farm was the brain child of Amy Berkey. One warm, July day in Indiana, Amy enjoyed picking blueberries while spending time with her then two- year old niece, Rachel. 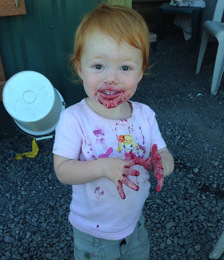 Rachel is a redhead, determined, and was dedicated as a first-time berry picker. She diligently filled her bucket, after an hour of being in the field, she had picked a few pounds of yummy blueberries by herself! Having seen dedication in her eyes, and sharing the joy together, was all Amy needed. Amy knew during those moments that she wanted to replicate the experience for many, many families! 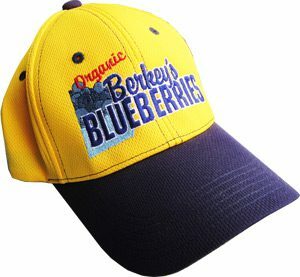 Berkey’s Blueberries was established in 2007. When it was planted it was known to us the farm must be organic. We value the land, ecosystem, and families that visit our farm. We wanted to keep unnatural chemicals and fertilizers off the land, out of the river, and away from people. We maintain our certified organic status with Oregon Tilth. From our beginning we were a multi-generation family farm established on century old farm land. Mike and Chery Berkey have mostly retired and turned over the daily operations as of 2018. You will likely still see Cheryl at a market and Mike may be seen out mowing on occasion. Farming our berries has become a year round operation for Amy and Jesse Berkey. The job raising organic crops is tiresome, physically demanding, and requires year round attention. A glimpse of the pattern of work looks like this: Hand weeding and fertilizing in the ‘liquid sunshine’ of spring, management of office duties, and more weeding is always needed. Summer brings 16 hour days of weeding, irrigating, fertilizing as needed. This is followed by picking, mowing, and managing harvest demands during the summer. Fall brings weeding, mowing, more hand weeding, fertility and input management, and winterizing to the forefront. Winter brings cold days of pruning each bush and doing clerical work when rained out. Somewhere in there we try find ourselves time to rest and choose to be closed on Sundays for our downtime. Thanks for visiting our page! Get social with Facebook follow the happenings in real time via our farm page, which we keep active in the summer. Look For The Yellow Hats!